1st met pain in an orthotic? This patient came in with pain at the base of the first metatarsal that she believed was related to her orthotic. The first picture shows the foots relationship to the orthotic. Notice how the sesamoid bones and distal aspect of the first metatarsal under lap the orthotic shell. In other words, the shell is longer than her foot. When she dorsiflexes her big toe, she’s hitting the distal of the orthotic. The next view shows the orthotic with a typical first ray cutout. Notice how far forward the shell of the orthotic goes (next picture). 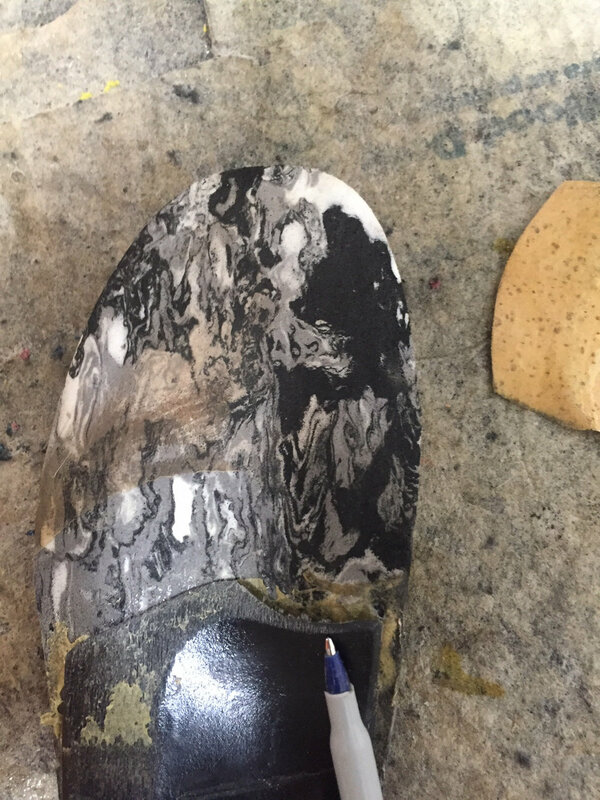 I have placed a pen pointing to the area where the orthotic shell is too long. A simple fix for a common problem. Make sure that your orthotic shell lengths fall just short of the 1st ray and not impinge on the sesamoids!